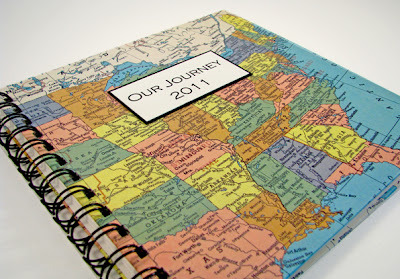 The first is a spiral album featuring a map of the USA with 7" x 7" pages. It was requested by a young woman to give to her boyfriend for Christmas to celebrate the cross country road trip they took this year. The front shows New York state where they started from and the back shows Washington state, which is where they ended their journey and now live. The second is another spiral album, this time with 5" x 7" pages with a map of Mexico. 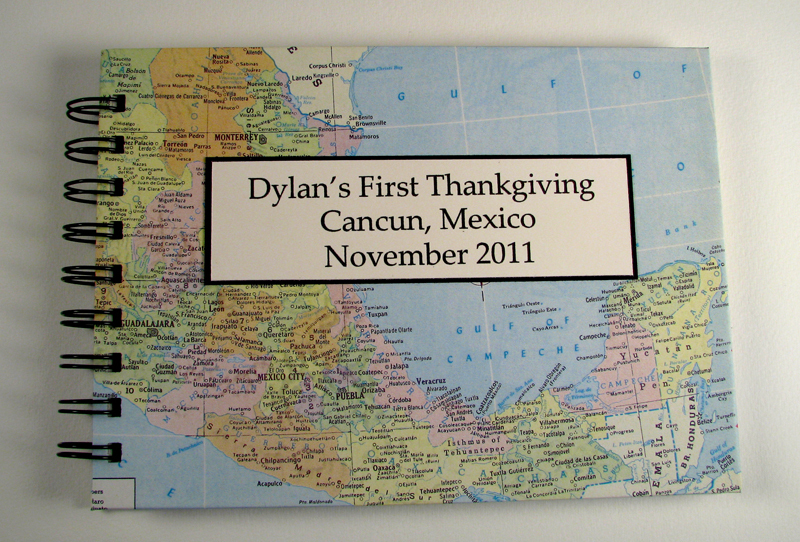 It was requested by Dylan's aunt to give as a gift to her Sister-in-law to celebrate their November trip to Cancun. Finally, here are 10 journals I made for a wonderful lady in Alabama. There is one each for all 10 cousins in the family who grew up in Hillsborough, AL for them to record their childhood memories. What a thoughtful and personal gift! 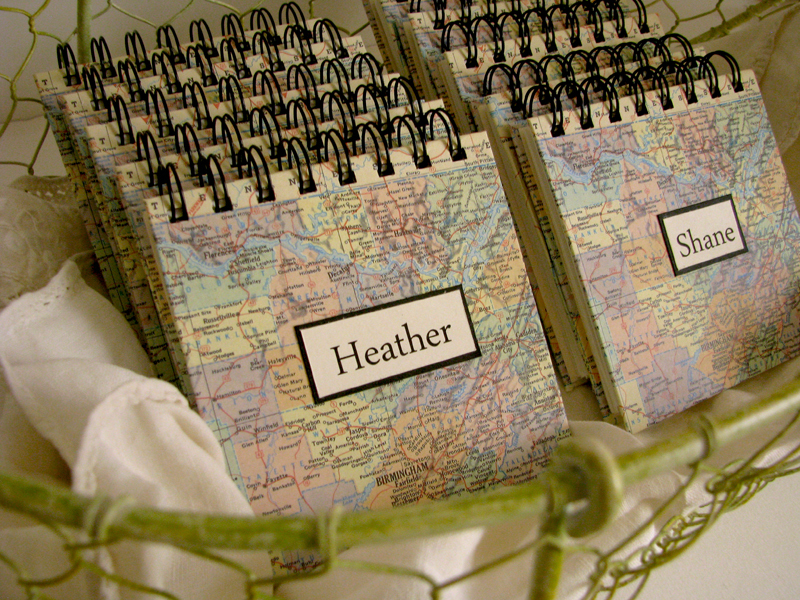 I'm currently taking orders for custom albums for Valentines Day and the upcoming wedding season. If you have a special place you'd like to feature on a photo album or journal, don't hesitate to contact me at alimanning@charter.net or directly through my Etsy shop.